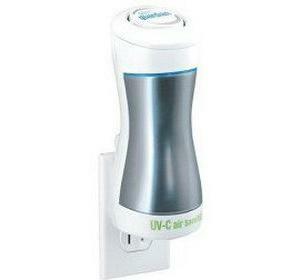 Our Guardian Technologies germguardian® Pluggable UV-C air sanitizer eliminates over 98% of airborne germs. It also destroys odors and allergens like dust mites and mold spores. Plug it in next to the diaper pail, in the kitchen or bathroom, in the pet area and laundry room. Moms and dads love it next to the diaper pail, and pet owners use it to destroy germs and fight unwanted odors including litter boxes. This compact but powerful unit has fast become a customer favorite. Order your pluggable UV-C air sanitizer today and be amazed! Working Weight: less than 16 oz. Germ Guardian AC5250PT 3-in-1 Digital Air Cleaning System with Pet Pure Filter - 28"